In 1991, Hasbro was again in Federal Court arguing about ninja. 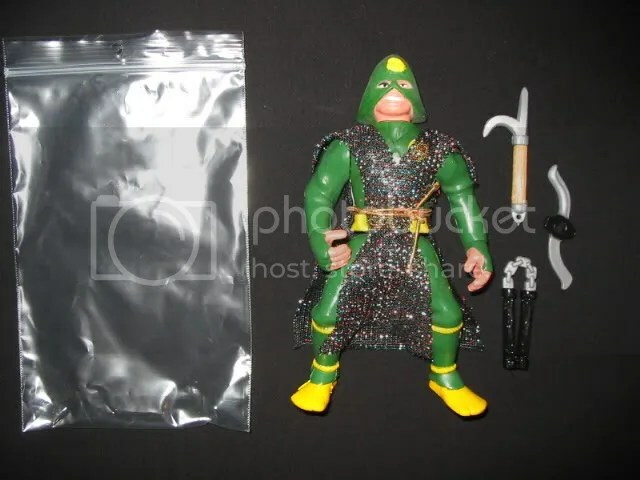 Recall from the first ninjalaw post, that Hasbro was responsible for the first instance of ninja in the Federal Courts in 1988. Just three years later, they are back in court arguing about a license on a line of ninja action figures called Ninja Warriors. In this action arising from a license to manufacture and market a line of ninja action figure toys, licensee/counterclaim-defendant Hasbro, Inc. (“Hasbro”) moves for summary judgment dismissing the amended counterclaims against it. For reasons that follow, the motion is granted. Based on a martial arts theme, ninja action figures are designed to be used by children in simulated battles waged with weapons such as large swords, boomerangs and lances. 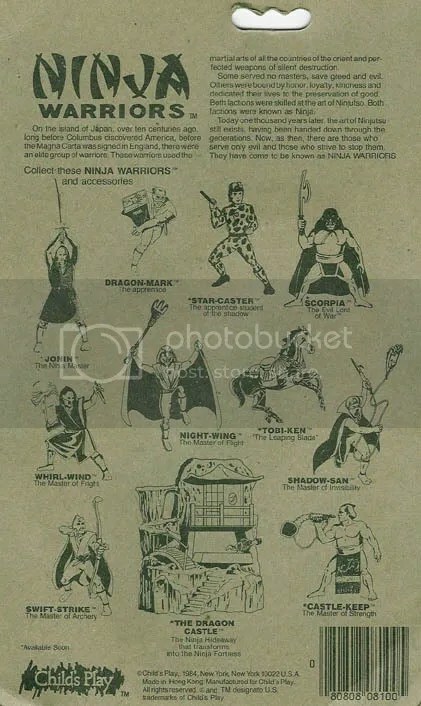 By the spring of 1986, ninja action figures generally were enjoying considerable popularity in the children’s toy market. Seeking fully to capitalize on this wave of popularity, Child’s Play decided to license its Line to a toy manufacturer and marketer with expertise and financial resources greater than its own. To this end, Child’s Play approached counterclaim-defendant Hasbro, a major developer, manufacturer and marketer of children’s toys. Although Hasbro had since 1982 included between one and four ninja action figures in its G.I. Joe action figure line, it had not yet developed its own line of action figures devoted solely to the ninja martial arts theme. 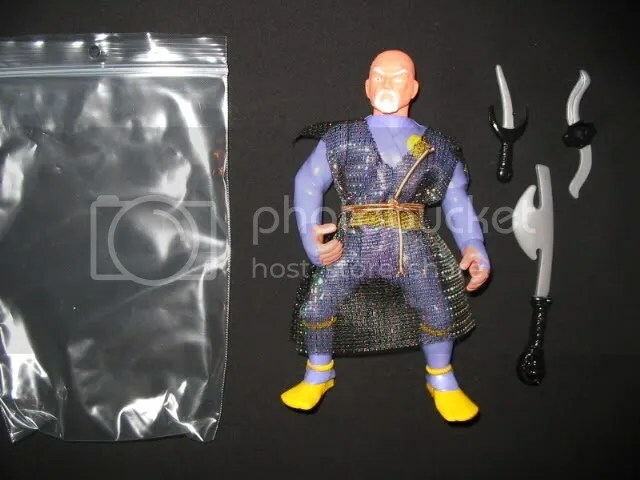 Seeking to take advantage of the popularity of ninja action figures, it considered the possibility of acquiring Child’s Play’s Line. In the only affidavit submitted in opposition to the motion, Ross states that he was unaware that Hasbro had included ninja action figures within its G.I. Joe line. There is, however, no suggestion that that line had not been extensively advertised by Hasbro, or that the existence of ninja G.I. Joe action figures was not otherwise readily observable by anyone in the industry. Cf. Conan Properties, Inc. v. Mattel, Inc. (S.D.N.Y. 1989) 712 F. Supp. 353, 367-68. As a result of the disappointing response to ninja figures in general, and the Line in particular, Hasbro postponed and eventually abandoned its plan to launch a television advertising campaign. 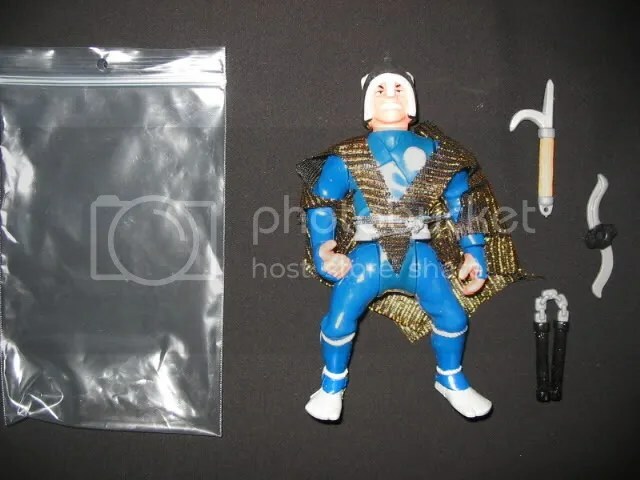 Hasbro’s sales force already was reporting that there was great resistance from Hasbro’s retail store customers which were not placing orders for the Ninja Warriors. The Hasbro sales force was reporting that Hasbro’s customers felt that the ninja action figure fad was ending and the appeal of ninja lines of boys toy action figures was in decline as ninja lines of other manufacturers were being left on the shelves of their stores; Our customers had no capacity or disposition to take another ninja line of boys toy action figures. there is nothing in the record to suggest that Hasbro, in continuing to produce ninja figures within its G.I. Joe line, either exceeded its rights to do so under the Agreement or did so to the detriment of the Ninja Warrior Line. We have considered Child’s Play’s other contentions and find them to be without merit. Because we conclude that Child’s Play has failed to come forward with sufficient evidence from which a trier of fact reasonably could find that Hasbro’s efforts to promote the Line were insufficient, Hasbro’s motion for summary judgment is granted. I wonder, did Ninja Warriors really fail because of a declining market interest? Or did Hasbro successfully kill a competing line of toys? According to the Court it was the former. But maybe it was also poor action figure quality, note the limited joint movement in the pictures below compared to GI Joe. This case involves the import taxes (harmonized tariff) on G.I. Joe action figures and determines that they should be taxed at a higher rate because they are human dolls. This distinction between human and nonhuman figures has recently been reported in a variety of blogs because of a decision regarding X-men merchandise. (See Toy Biz v. US). For similar tax reasons as will be discussed below for Hasbro, Marvel lawyers argued in 2003 that certain X-men figures were nonhuman. This created hullabaloo amongst comic fans because a major plot line of the X-men comic is that these characters are humans who are persecuted for being mutant humans. Arguing that mutants are not human is good for taxes but goes counter to what the X-men fight for. But first the typo – In Office of Supply Govt. of the Republic of Korea v. M. V. Naftoporos, No. 81 Civ. 4507, UNITED STATES DISTRICT COURT FOR THE SOUTHERN DISTRICT OF NEW YORK, 1985 U.S. Dist. LEXIS 15671, September 24, 1985, Decided – the Court cites a quotation to “M. Golodetz Export Corp. v. S/S Lake Ninja, 751 F.2d 1103, 1110 (2d Cir. 1985)” — except that is scrivener’s error – the correct party name of the defendant in that case was “S/S Lake Anja” = the name of a cargo vessel. So that is the first use of “ninja” in the Federal Court but it’s a typo. That said, even if it is complete error, it is somewhat ironic or coincidental that the first case with “ninja” has “the Republic of Korea” as the named plaintiff. This action involves the proper classification of plastic figures described as “G.I. Joe Action Figures” and imported from Hong Kong during 1982 and 1983. The merchandise was classified as “other dolls” under Item 737.24 of the Tariff Schedules of the United States (“TSUS”), at various duty rates, depending upon the date of entry. Plaintiff claims that the importations are properly classifiable as “toy figures of animate objects” under Item A737.40 of the TSUS, which, having met the requirements for duty free treatment under the Generalized System of Preferences, (“GSP”), should be free of duty pursuant to General Headnote 3(c) of the TSUS. 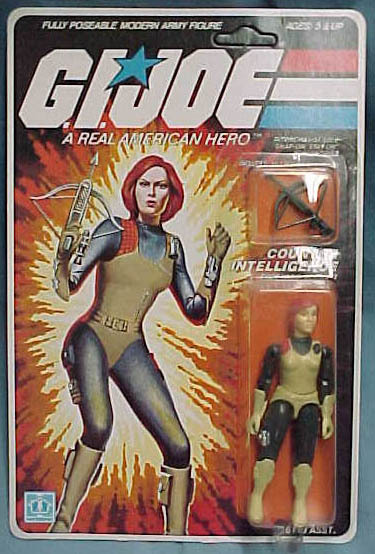 The third figure selected for description is designed “Counter Intelligence.” This is a white female with red hair, wearing what appears to be a beige, one-piece bathing suit, together with beige boots and gloves over black tights. Molded on the figure is a knife on the left thigh, what is possibly a small explosive device on the right thigh, a grenade on the left shoulder, a small pistol on the inside of the right forearm, and what appear to be two “throwing stars” (a type of weapon associated with Japanese “ninja“) on the exterior of the left glove. The figure comes with a “XK-1 Power Crossbow” accessory. 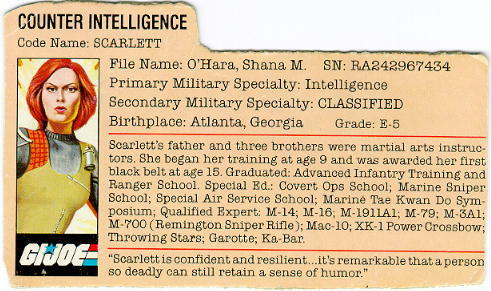 GI Joe fans will recognize this as a description of Counter Intelligence, Scarlett O’Hara. The Court profiles the action figures and characters of Duke, Roadblock, Doc, Scarlett, Cobra Commander, and Baroness. In sum, the Court is of the opinion that these figures have been properly classified as “dolls” under Item 737.24 of the TSUS. Further, for what it is worth, the Court notes that this classification does not in any way detract from the respect which these figures deserve as representations of the human participants in the never-ending struggle between good and evil. Henceforth, each and every one of these figures must accept the fact that, for tariff purposes and by judicial decision, they must face the world as “real American dolls.” Hopefully, they will meet this decision as to their tariff classification with courage and pride. It is my suspicion that this tariff classification for action figure toys is a major reason that Michael Bay’s TMNT will change the narrative to make the Teenage Mutant Ninja Turtle be aliens. Aliens are nonhuman and so they should be taxed at the lower rate. Bay has been quoted today by CNN saying in response to fan reaction about the alien-origin plot: “Relax .. We are just building a richer world”. Yes, Richer because of tax savings. Ok that’s enough for my first NinjaLaw post. There are more Teenage Mutant Ninja Turtles in other cases and we’ll get to them later – and you may also Shepardize this Hasbro case too, there is a follow-up case about other Joes in 1989 and the 1988 case is also cited in the Toy Biz opinions about X-Men in both 2001 and 2003 . 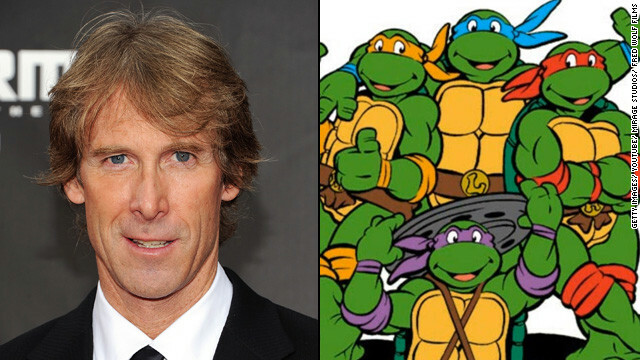 This is just a first post – there will be more NinjaLaw.